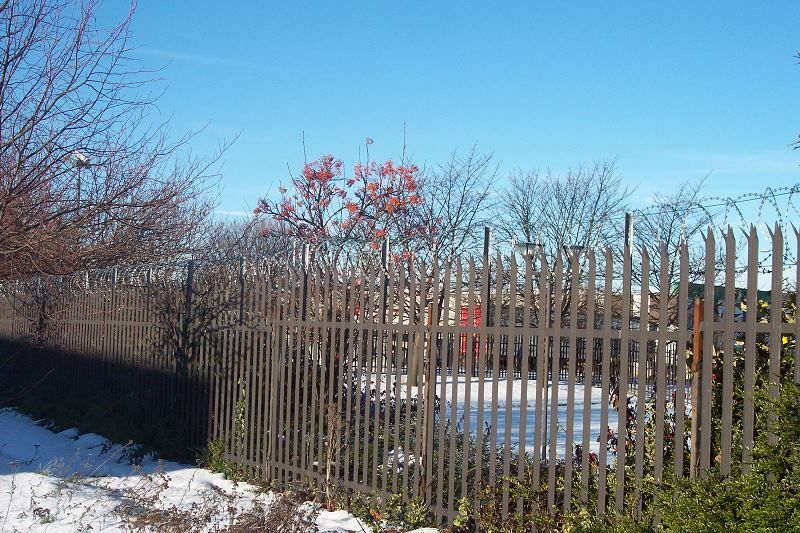 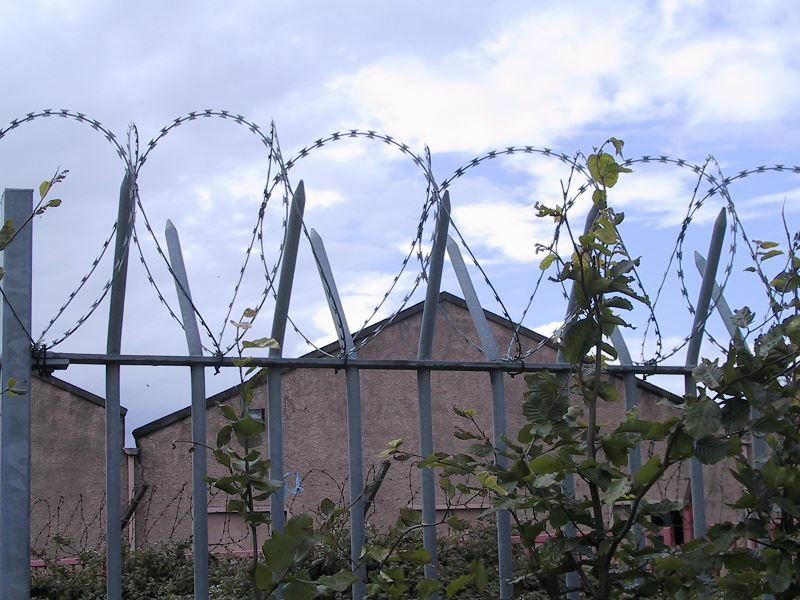 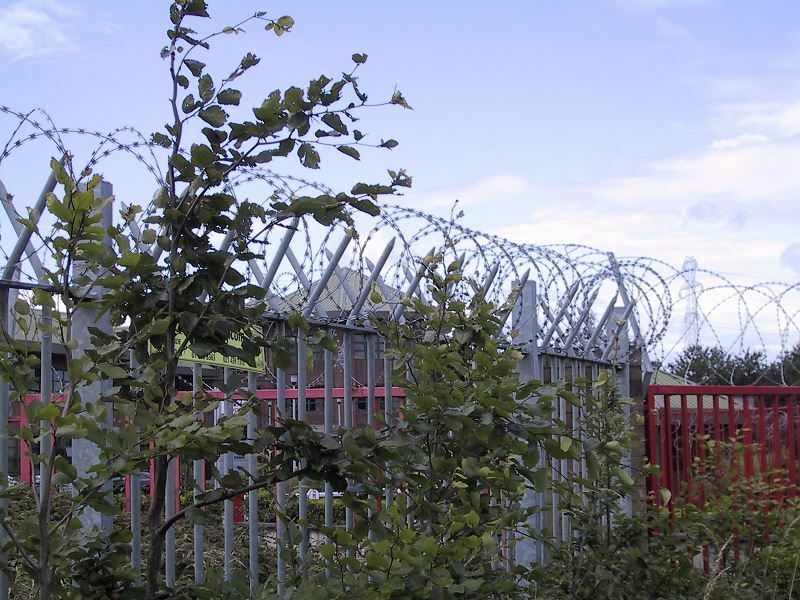 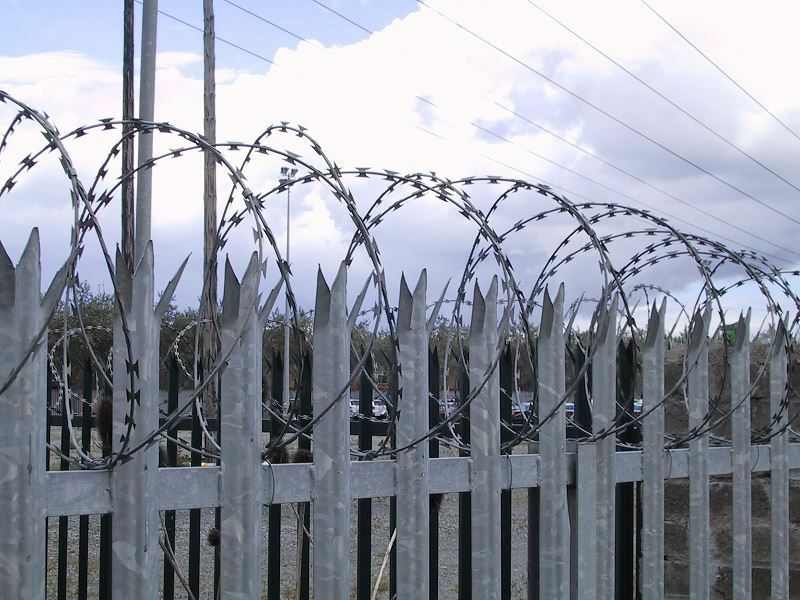 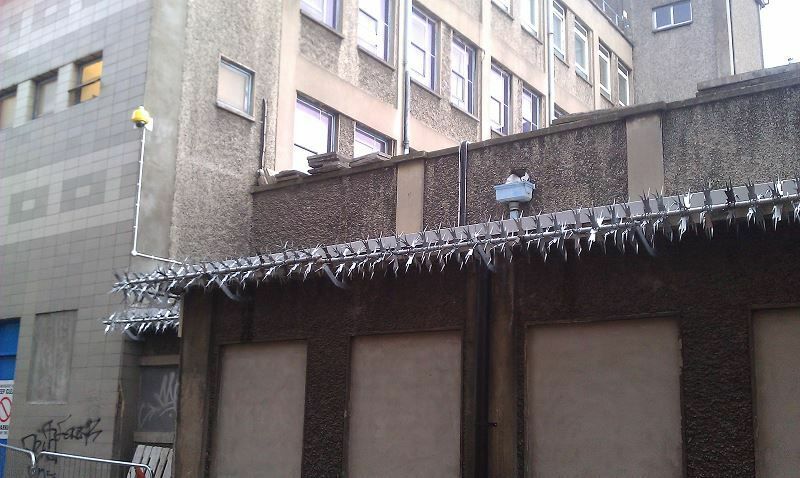 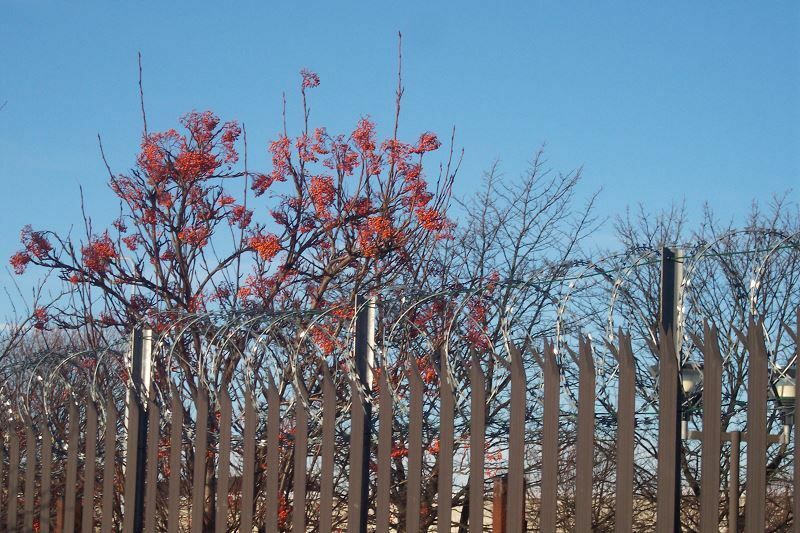 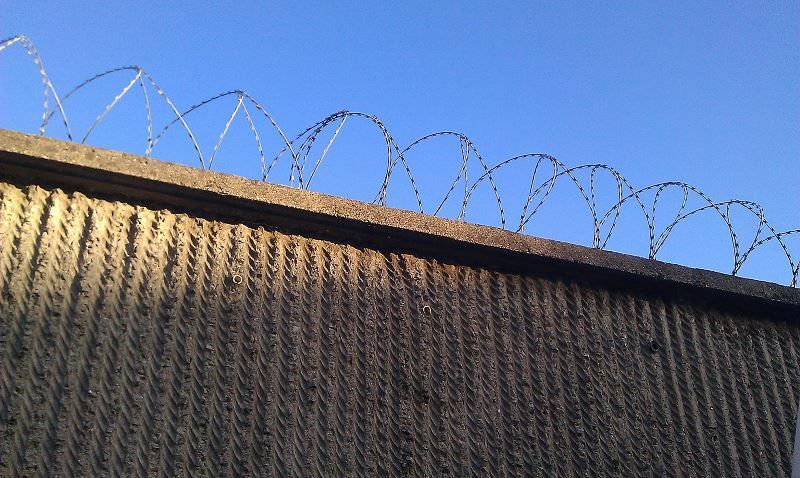 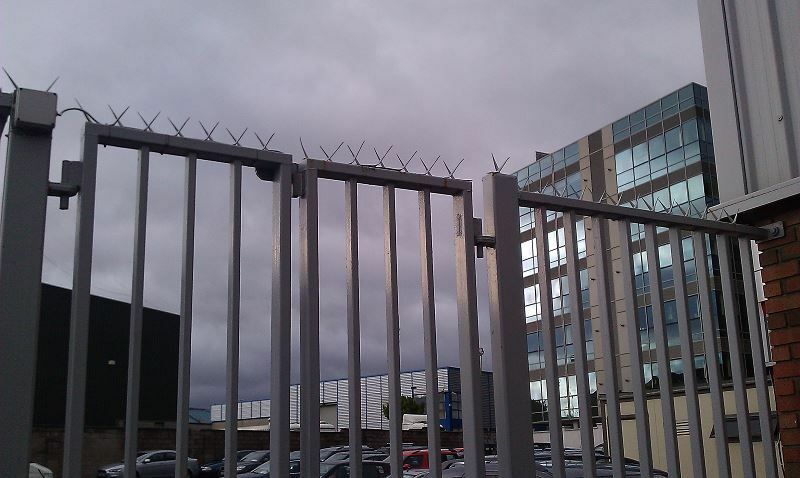 We Manufacture and supply a wide range of rotating, rigid and barbed wire based obstacles to prevent intrusion over walls or roofs. 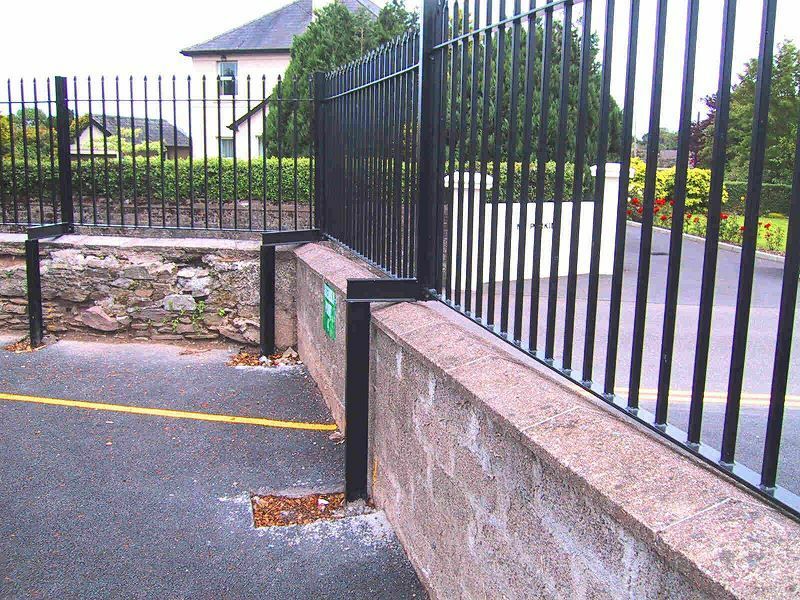 We also fabricate special solutions for individual problems and all our Railing and Mesh Ranges can be adapted to suit your requirements. 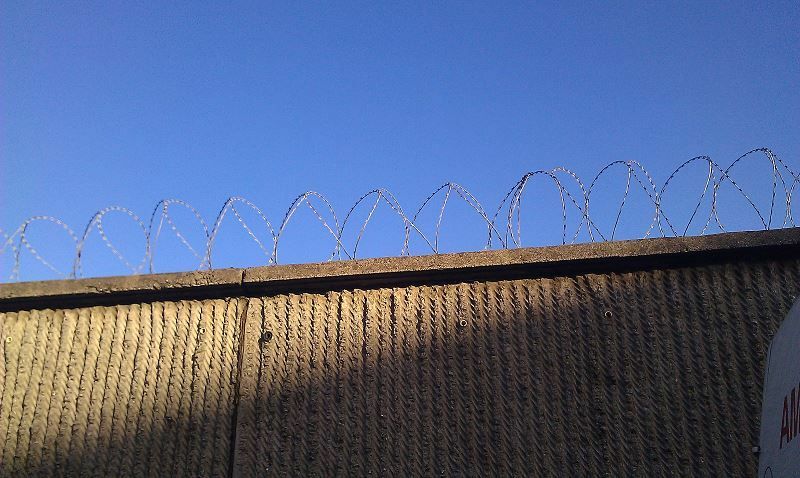 Advice on Usage of Wall Toppings By law a property owner or manager must prevent intrusion to any area or equipment where a person can be injured. 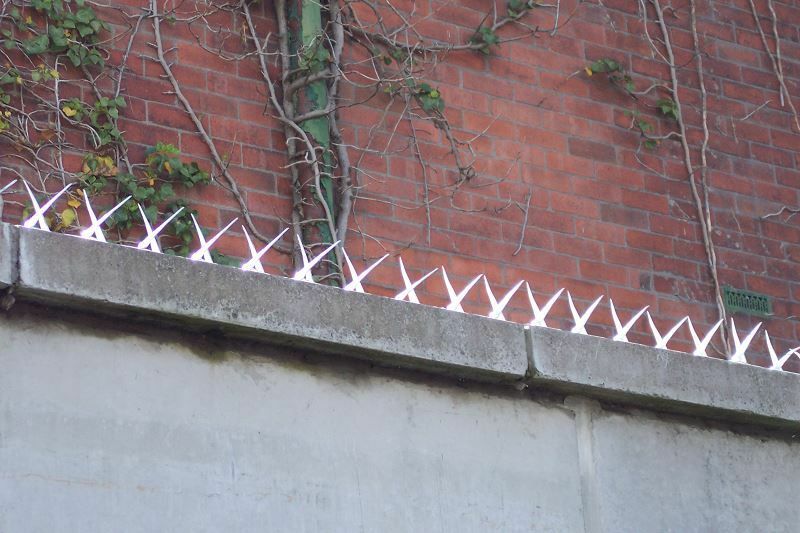 Also by law an innocent or unsuspecting person cannot be injured by a deterrent which they contact accidentally or unexpectedly it is also highly illegal to place a danger where an intruder is lured into injuring himself (entrapment). 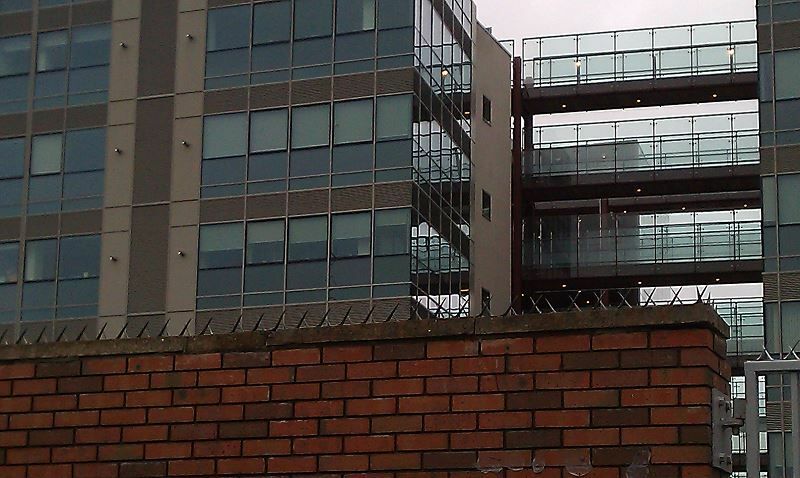 How does one reconcile these two legal positions? 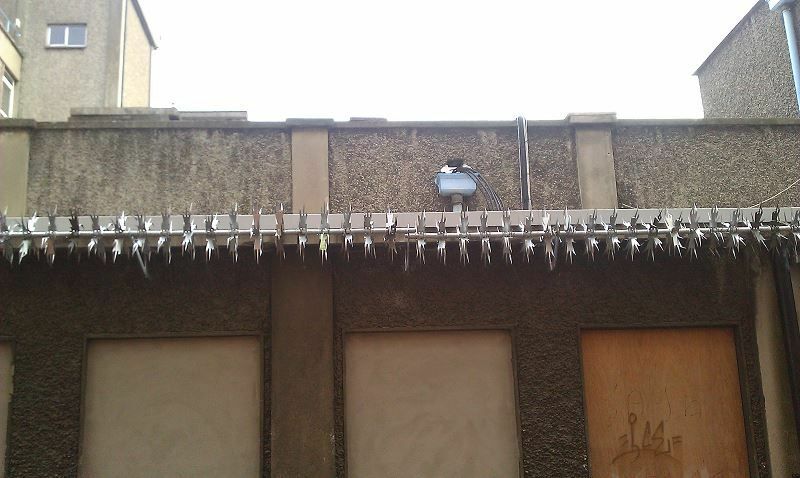 Firstly any of these products must be installed in a clear and obvious position. 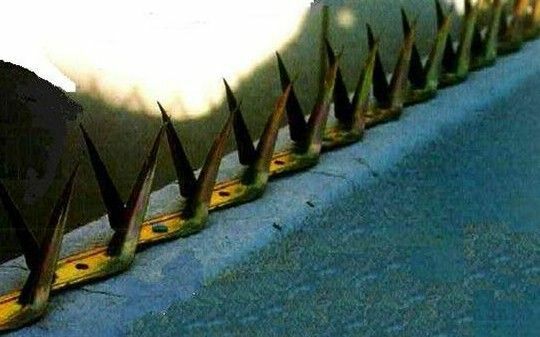 They should be fixed in a position where a casual passer-by cannot come in contact with them. 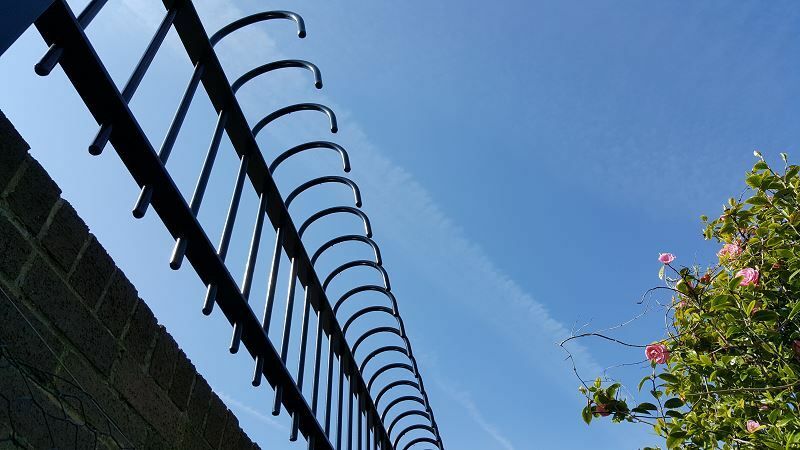 As a general rule we believe that any deterrent placed in a clear and obvious position at a height of at least 2100mm above ground will be fully legally complaint. 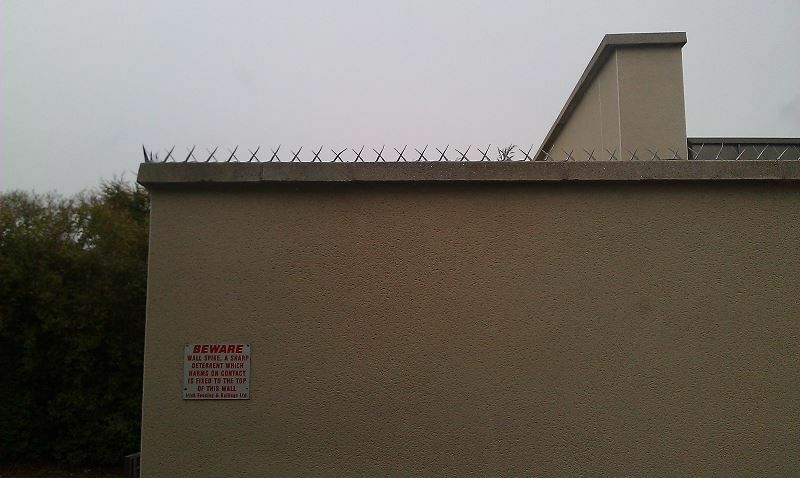 We would also recommend that where appropriate signs highlighting the deterrents presence and nature should be fixed. 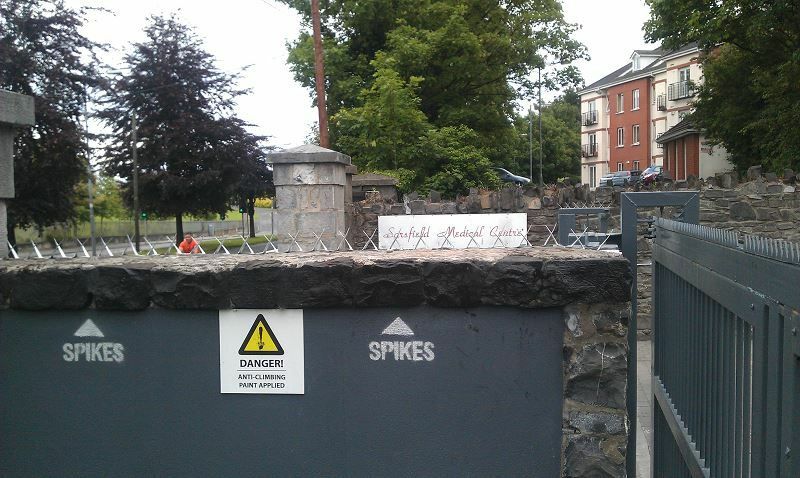 We can provide appropriate signage. 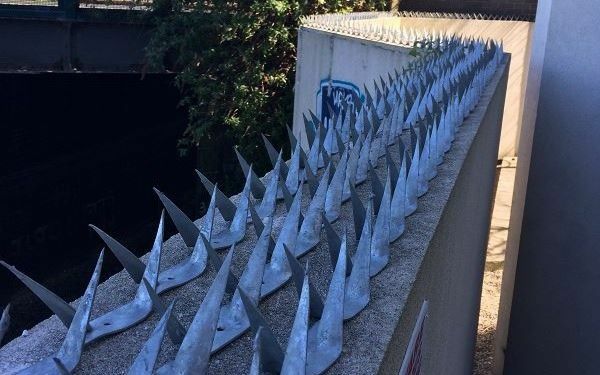 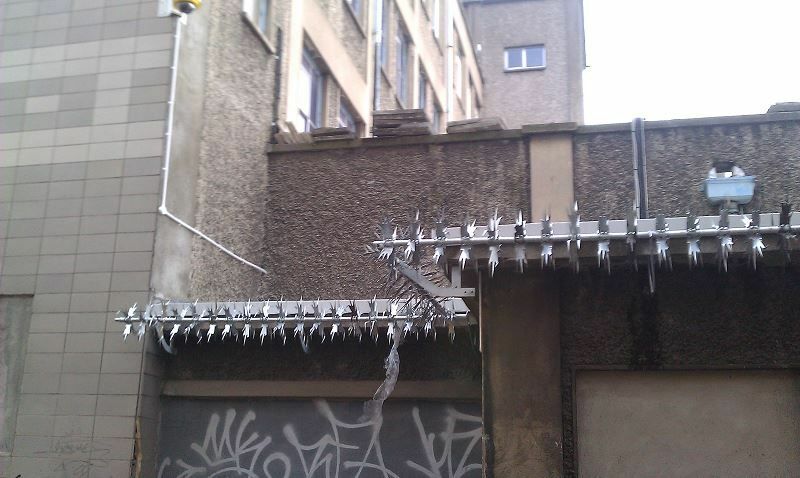 A Pressed Steel Spiked deterrent 100mm high by 1400mm long which can be affixed to walls, railings, or other structures. 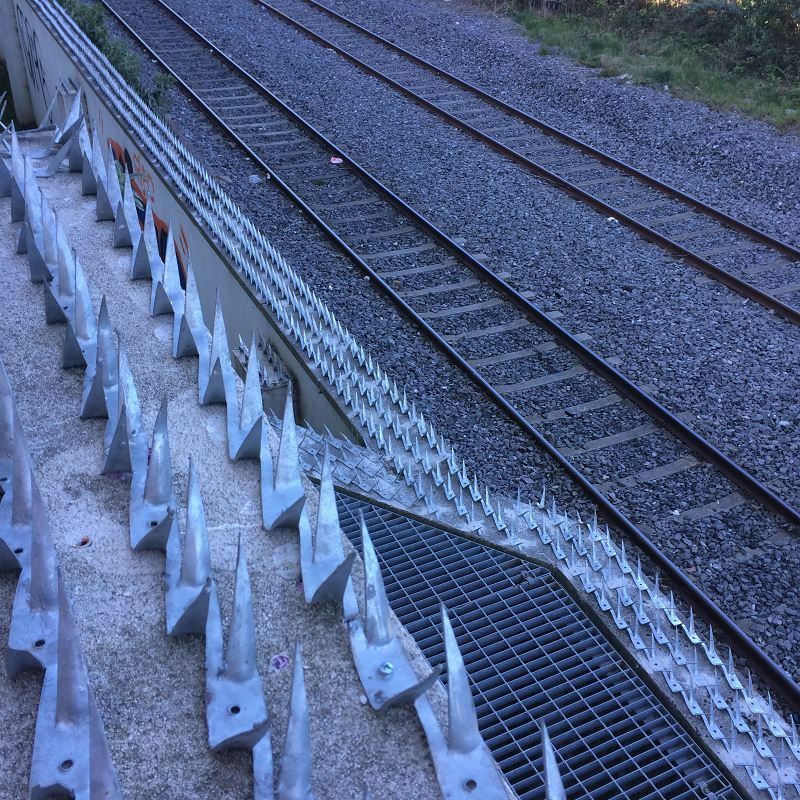 It can accommodate slopes and junctions. 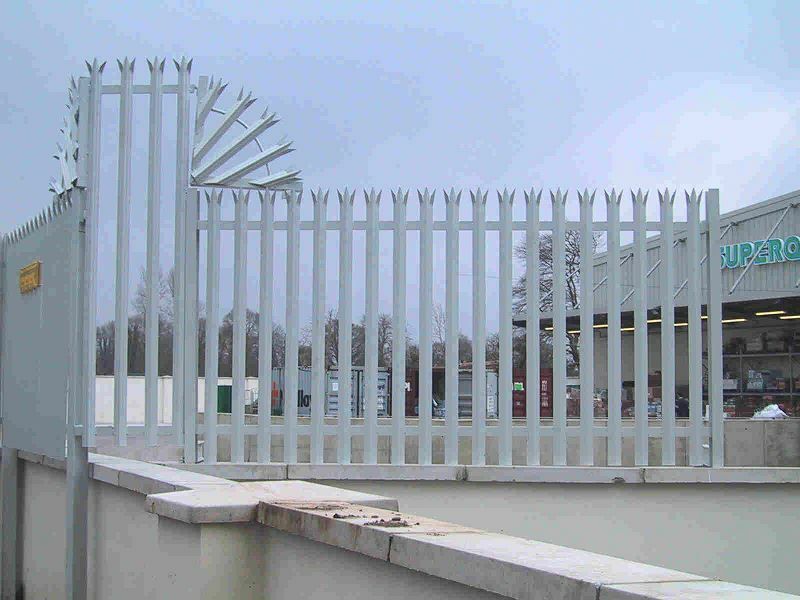 Available Galvanised or Galvanised and colour Powder Coated (Plasgalv®) finish to clients choice. 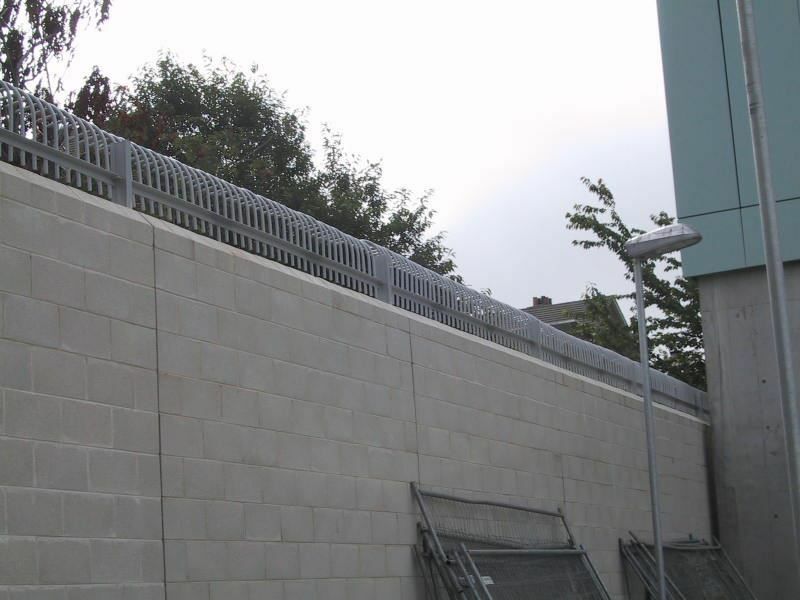 This is a product which can be self installed and is a very competitive option for Commercial and Domestic use. 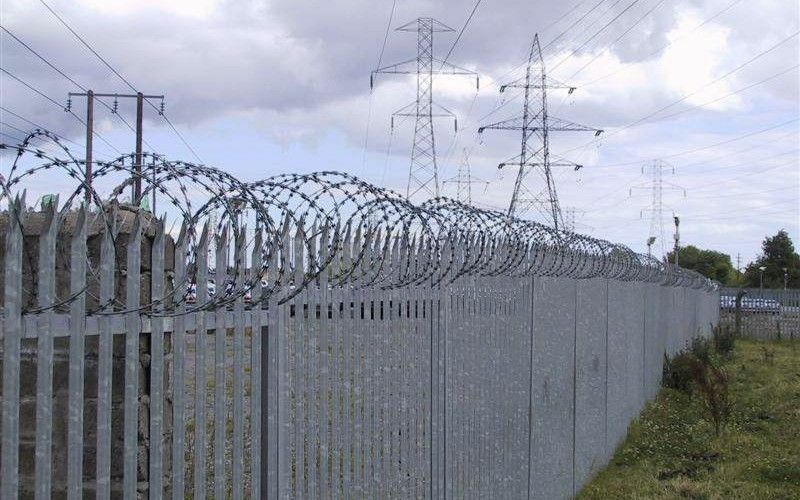 Barbed tape concertina wire was developed to replace traditional barbed wire in its role to deter, obstruct and protect. 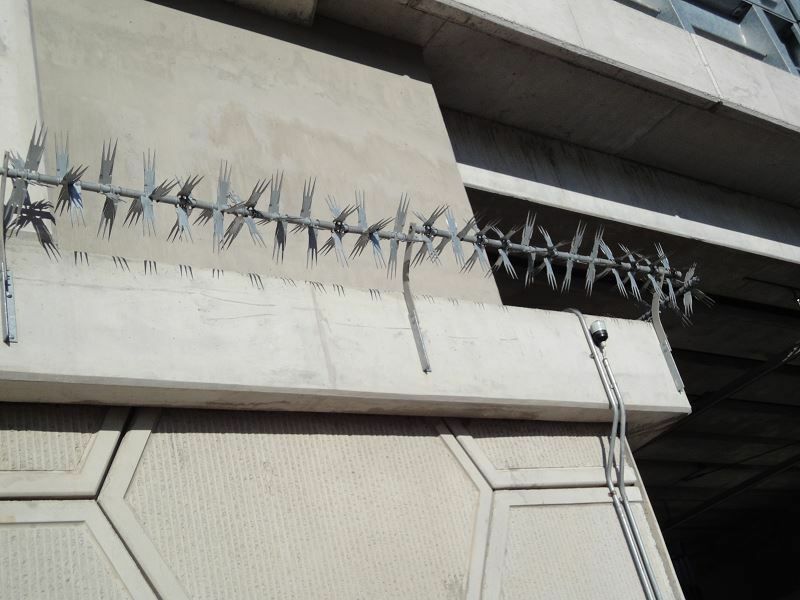 The tape consists of a steel strip reinforced with high tensile wire and having hook or spear like barbs at close intervals.Heavy duty clips form a concertina configuration with diameters from 450mm to 980mm. 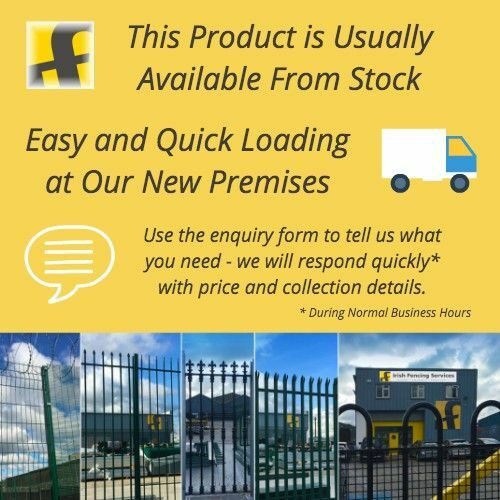 We stock 450mm as standard. 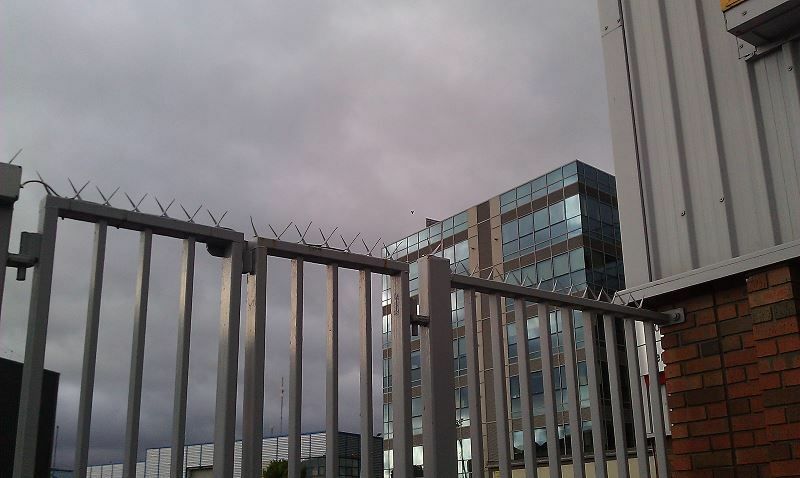 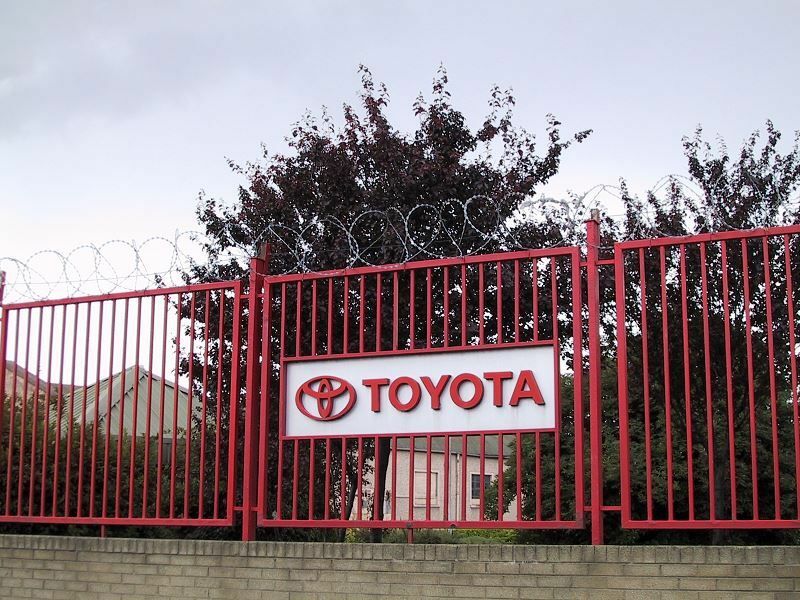 The coils can be attached to existing barrier fencing or used independently as a barrier line.The system is used widely in commercial situations. 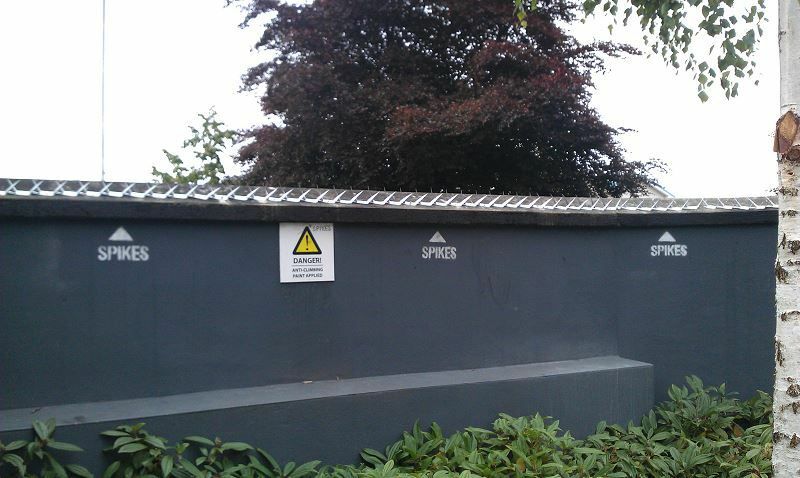 Knife Edge is a 300mm diameter multi point revolving fence in a hot dip galvanised finish which allows the spikes to rotate freely at all times with no risk of locking in position because of rusting. 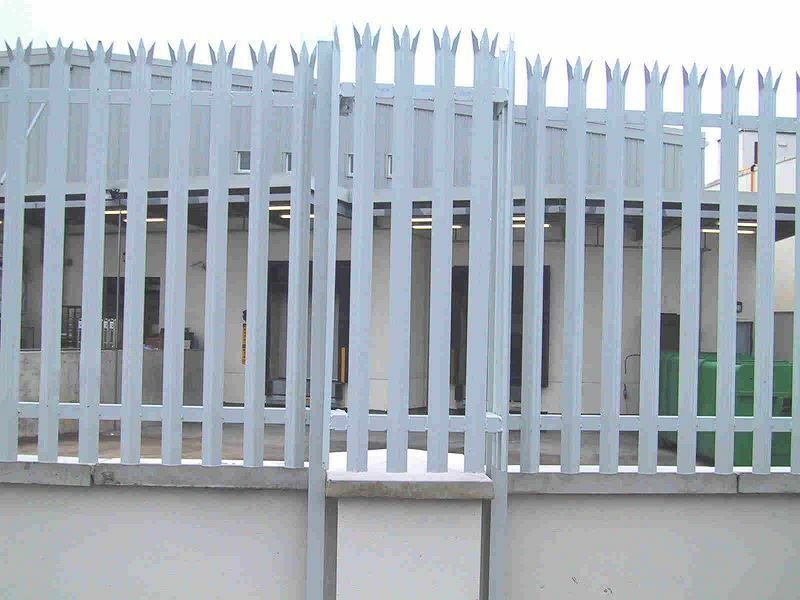 Can be provided with a variety of mounting brackets which makes it completely adaptable to all types of perimeter and access situations, tops of walls, fences and gates, roof edges, eaves of buildings in vertical or horizontal positions. 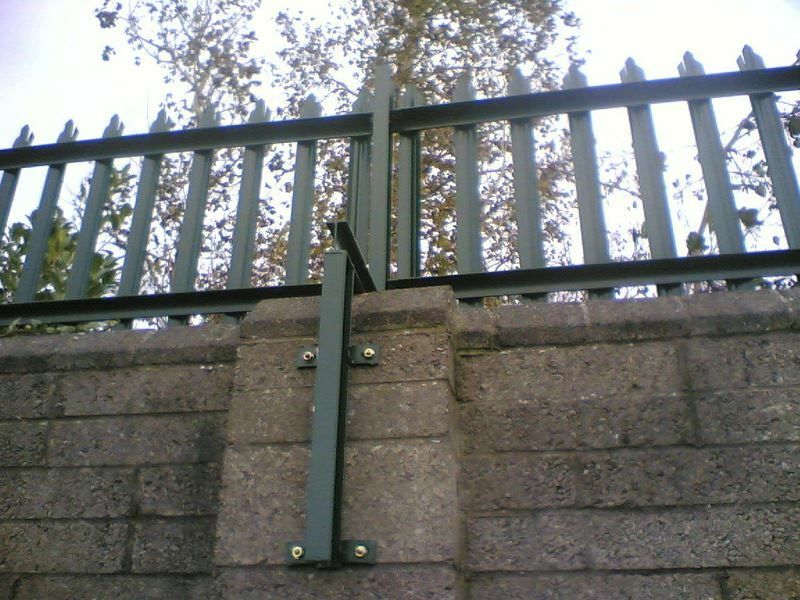 Standard section length 2750mm assembled on site from kit form. 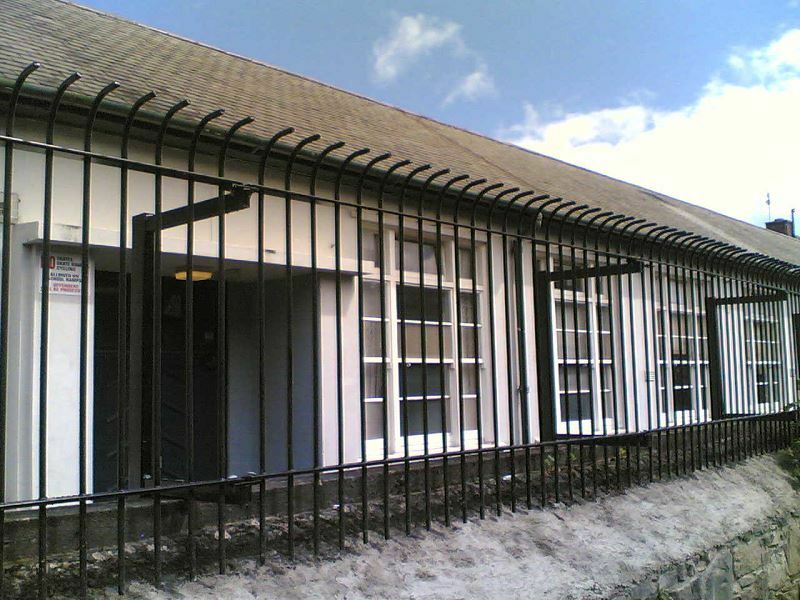 Galvanised finish only. 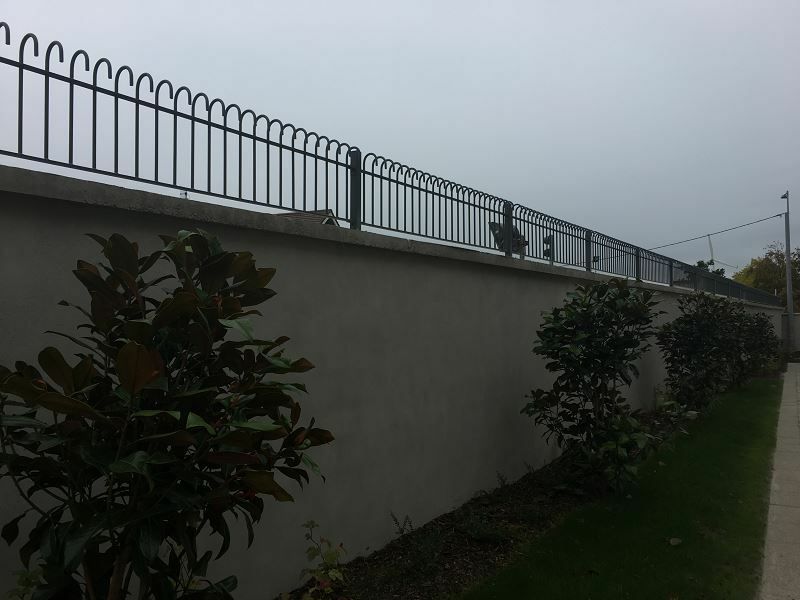 Most of our standard fences can be adapted to suit a wall top fixing. 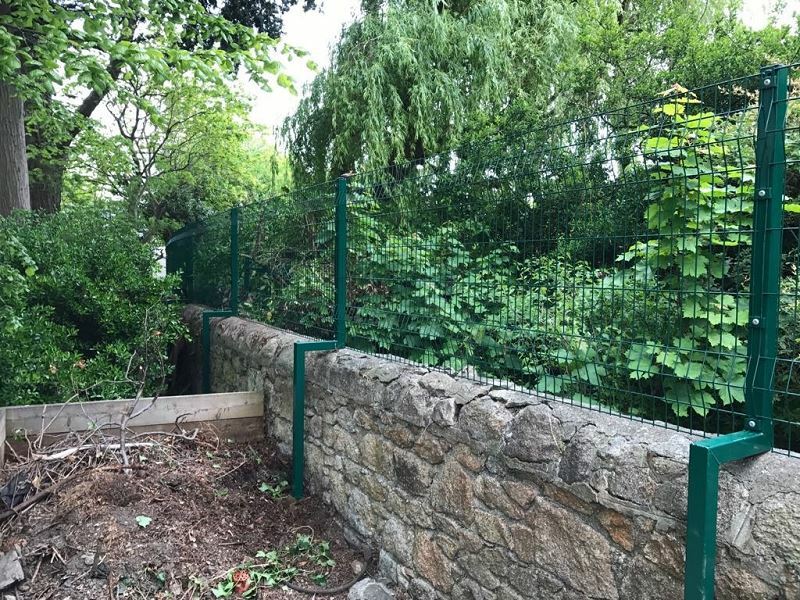 The fixing detail to the post is totally dependent on the structural stability of the wall, along with the construction of the fence to be fixed to it. 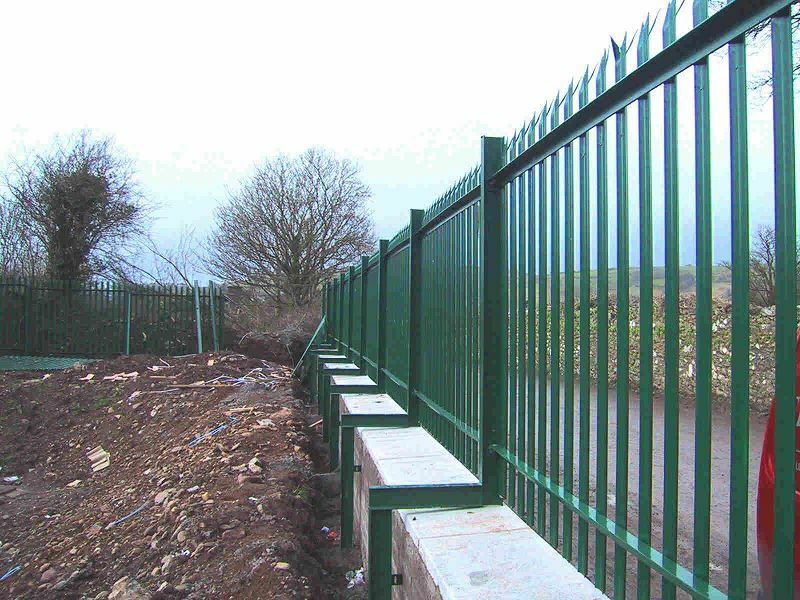 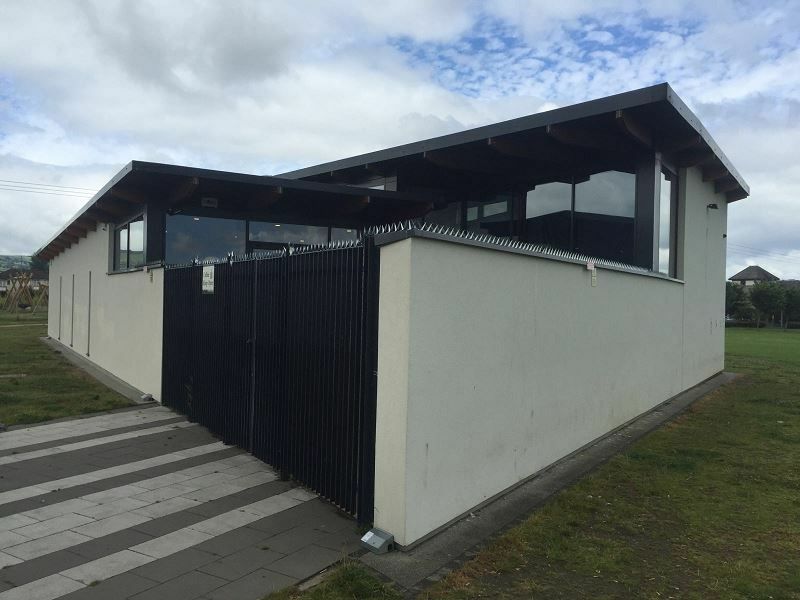 Considerations such as fence weight, height, wall structure and wind loading all have to be factored in when calculating the post section and fixing detail. 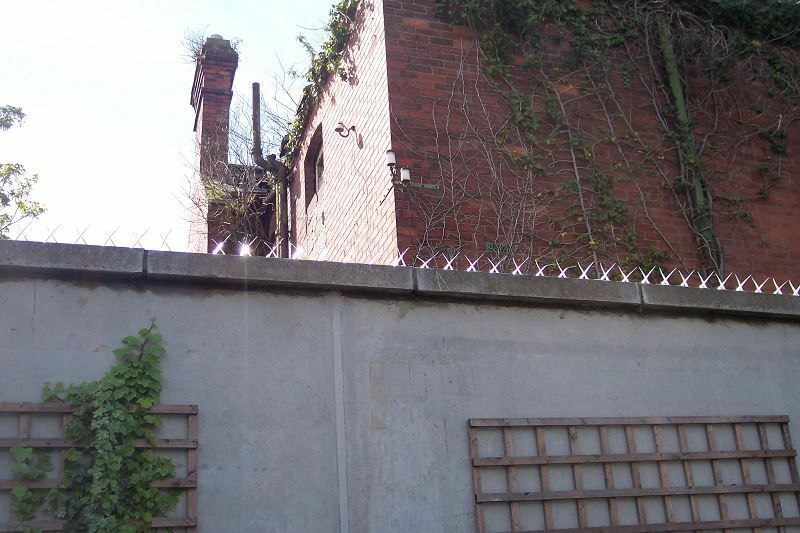 Fixing detail can be by means of independent foundation or bolt and baseplate detail fixed directly to the wall or structure.